To our members – please make note of the fact that our meeting date and place has changed from last year. We are now meeting the first Tuesday of each month in the Lakeview Room. Our first meeting in October was to plan the events of the season. For this November meeting (November 7), we will feature a video on Italian immigration to the United States. This video is the first of four that was produced and aired on PBS. The club will provide some movie goodies, such as popcorn and candy. If you have any goodies that you wish to share, please bring along to the November meeting. 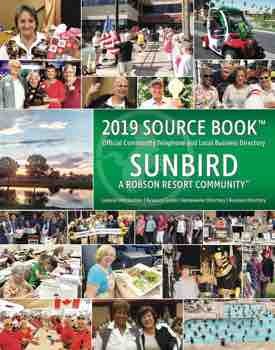 Remember, we are delivering the SunBird News for the months of November through April. We still need several volunteers to cover all the routes and several alternates in case of illness. Donald and Mary McMullen are in charge of this project and would like to hear from you if you are willing to help. Their number is 291-6468. For December, we are planning a Christmas luncheon. Chris is investigating a date and particulars at Floridino’s Restaurant. More information will be shared at the November meeting on Tuesday, November 7. If you do not attend the meeting, you may contact Chris at 883-9262. All monies must be paid before the date selected. 1. Italy is the fifth most visited country in the world. 2. Vatican City in Rome is the smallest country in the world and is led by the Pope. 3. The colors of the Italian Flag (green, white and red) have special meaning. Green represents hope, white represents faith and red represents charity. 4. Of all the romance languages, Italian is the closest to Latin. 5. There are only 21 letters in the standard Italian alphabet. The Italian alphabet does not have the letters J, K, W, X, Y.